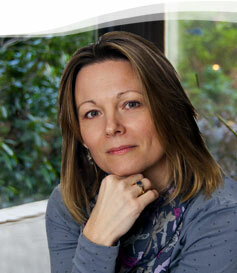 Integrative Humanistic Counselling and Psychotherapy located in Chertsey South, Surrey. Individuals and Couples Counselling. Firstly welcome to my website. Some people find it a little daunting looking for a counsellor so I hope that you will find my website friendly whilst answering some of your questions about counselling and psychotherapy. It is very common for clients to be feeling anxious about their first appointment. You might be thinking... what if I don't like the counsellor, what if she doesn't like me, will it be like talking to my friends, will she believe me. As your counsellor I can reassure you that I will offer you a non-judgemental and accepting therapeutic relationship. I will be professional, reliable, resiliant and committed to supporting you. I have particular experience in working with Bereavement and Relationship difficulties, one-to-one or couples. Counselling and Psychotherapy can help you to understand your thoughts, feelings and why you might be repeating unhelpful behaviours. Self awareness can facilitate change. Do you often feel or act like a child? Do you feel fragile and vulnerable or even angry and confused? Often these powerful emotions are triggered by our supressed 'inner child'. He or she (the child part of you) may be emotionally 'stuck' at a particular age. When this happens, which is extremely common, we can feel overwhelmed with confusing emotions and even develope addictions in an attempt to comfort this part of ourselves. Psychotherapy can offer you a space where you can safely release your 'inner child'. Through my dedication to this profession I am honest and tell my clients that counselling is not about waving a magic wand and making everything better but it is about finding the courage to be honest with yourself which in turn allows you to be honest with others. Counselling can help you to understand and accept who you are, trying to do this alone can be overwhelming and lonely. It's not me, it's my hormones!! Are you having mood swings, feeling anxious, exhausted, irritable, angry and disappointed ? These are all normal emotions for a woman who is struggling through the Perimenopausal transition. The Menopause can be a gift given to you as a time to increase your awareness...What do you want to do with the second part of your life?